StratoServe (short for Strategic Services) is about helping your business or non-profit grow. You simply cannot do the "same old" in a fast changing world. Your customers have many options both globally and technically. Why should they choose you? And if they have already chosen you (you are lucky)..............Why should they stay with you? We are constantly trying to address this challenge that every business faces with rapid changes in the Internet and associated technologies. Sign up to receive updates on our "self-help" tips to foster growth in your business. Operationally (selected projects only) we help organizations with their message on the web including content guidance and Google AdWords for their target audiences. Dr. Subroto Roy brings extensive academic and industry experience of over 25 years to each project. Dr. Roy is Professor of Marketing and at the University of New Haven and was a Visiting Scholar at Yale University School of Management where he continues his research. Prior to his PhD in Marketing Dr. Roy worked for 12 years with the Indian Joint of Tetra Pak Sweden and National Dairy Development Board India and was Head of Marketing and Sales for India. Subroto has taught, researched and consulted in Australia and Singapore. Dr. Roy is a past President of the Institute for Supply Management of Connecticut (earlier CAPM) and Vice President of the American Marketing Association of Connecticut. He is Certified for Google AdWords by Google Inc. Dr. Roy is a Certified Professional in Supply Management (CPSM) and ISM certified CPSM trainer. StratoServe LLC sponsors and maintains www.cpsmblog.com as a free resource for the global supply management community. 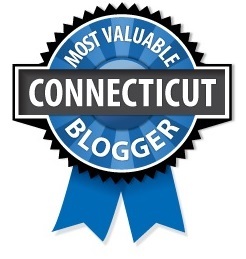 The StratoServe Blog is the winner of the CBS Most Valuable Blogger award of 2011. Dr. Roy has numerous academic articles and a regular contributing author on LinkedIn. Contact StratoServe or call 203-768 5690 or email Serve@StratoServe.com.